Why Did It Become Dark When Christ Was Crucified? 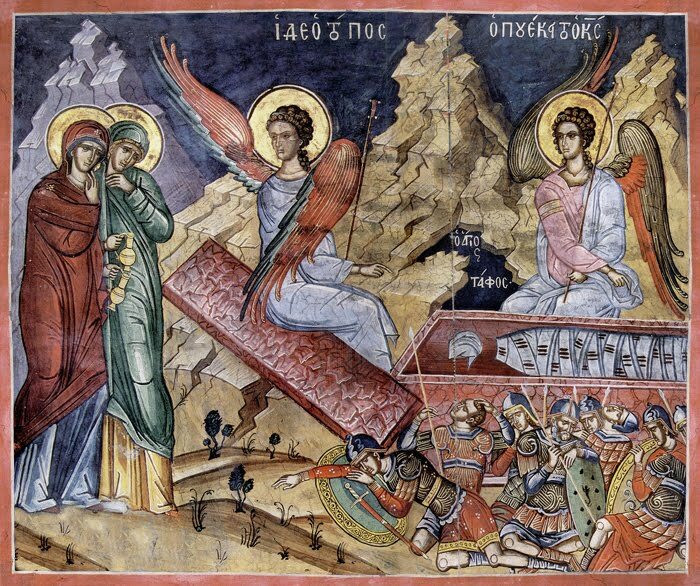 On this day, the third Sunday of Pascha, we celebrate the Feast of the Holy Myrrhbearing women; and we also commemorate Joseph of Arimathea, who was a secret disciple, and also Nikodemos, who was a disciple by night. The women disciples bring myrrh unto Christ. And I bring a hymn as it were myrrh unto them?